Thank you for your interest in Nurtured Foundation Placenta Encapsulation services! We offer encapsulation, tinctures and salves to aid in your postpartum recovery. We specialize in the Traditional Chinese Method of encapsulation. Cord keepsakes and placenta prints are included complimentary, if you would like them. Our placenta encapsulator is PBi trained as a Placenta Encapsulation Specialist and has taken the OSHAcademy Bloodborne Pathogens Course. How does encapsulation help a postpartum woman? A woman’s life after childbirth is an amazing and unique time period, full of changes and challenges. 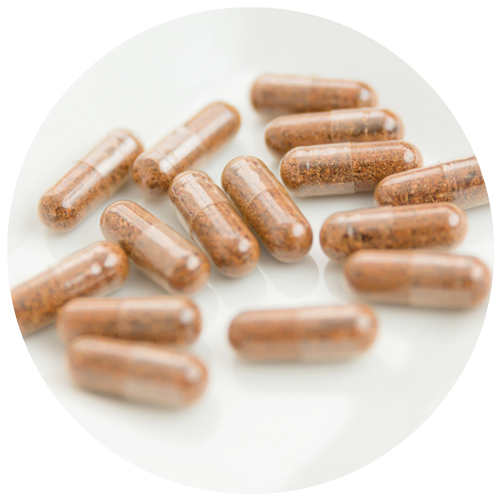 Placenta Encapsulation can provide an extra boost for mothers after childbirth, improving their overall post-birth experience as they adjust to life with a new baby. It is an honor to work with new families and provide them access to this precious support to aid in their healing and recovery. bonding of mother and infant. THYROID STIMULATING HORMONE boosts energy. CORTISONE combats stress and unlocks energy stores. INTERFERON stimulates the immune system to help prevent infection. HEMOGLOBIN Replenishes iron deficiency and anemia, a common postpartum condition. By tincturing a small piece of placenta in high-grade alcohol, you can prolong the benefits of your placenta hormones. The tincture can be used in any time of trauma, transition, emotional distress or hormone changes to ease your symptoms. The tincture is allowed to sit for at least 6 weeks before use. It is shelf stable and if kept in a cool, dark place will last for many, many years. Your own superfine placenta powder is infused into a high quality salve base, with or without your choice of essential oils. We use a luxurious organic base as our carrier because it is non-sensitizing, good smelling, food based, and can penetrate deep under the surface of the skin. Placenta salve can be used for: Cesarean scars, perineal tears (wait until stitches dissolve), diaper rash, and as a general healing and skin-care salve. I’m so glad I decided to have Ashley encapsulate my placenta. I was sceptical on how the pills would work, but I’m so happy I have them. She got them to me so quick and I can’t believe how different this postpartum experience has been so far compared to my last. I feel much more emotionally level (i had postpartum ocd after my son) and at 8 days post baby almost no bleeding. I truly feel the pills are to thank! Ashley performed my placenta encapsulation after birth for me. I am so glad I decided to have this done, these pills are wonderful. I have energy, I feel healthy and my recovery from delivery is going great! My milk supply came in quickly, and I also haven’t experienced any postpartum depression. I would definitely recommend this looking into this service for any new moms to be! Thank you Ashley! The placenta capsules are great I am absolutely receiving the benefits of the the capsules. Ashley was great she came and picked up the capsules as soon as called her and told her I delivered and returned the capsules with the time frame she stated she is very professional and caring.